In modern drive engineering, use is made of electronic control loops to attain maximum performance and reliability. But even the best control system is powerless without an effective actuator. This is where robust, electronically commutated internal rotor motors (ECI) come into their own. These highly dynamic drive units permit high-speed motion, allow short-term high overload and operate reliably over long periods even without maintenance. A new ECI motor with up to 750 W shaft output and a diameter of just 80 mm is now setting new standards in terms of power density, dynamics and versatility whilst offering standard mechanical interfaces for universal use. Figure 1: Highly dynamic with overload capacity and a long maintenance-free service life, the ECI 80 with 750 W output power. Highly specialized one-off developments can achieve top performance, but at a considerable cost. With series components, which can be manufactured more cheaply in large quantities, it is however possible to obtain the same performance levels without high expenditure in the form of a versatile modular concept. Individual modules can be combined to produce drive units tailored to customer specifications. The specialist manufacturer ebm-papst were therefore quick to adopt the modular concept for their drive systems. By putting together individual assemblies to suit customer requirements, the company can offer a wide range of drive units “off the peg”. To be able to achieve higher power outputs, the new ECI 80 motor has now been added to the family of drive units alongside the existing ECI 42 and ECI 63 series (Figure 1) to extend the product range, particularly for applications requiring high power, highly dynamic performance and a low weight. 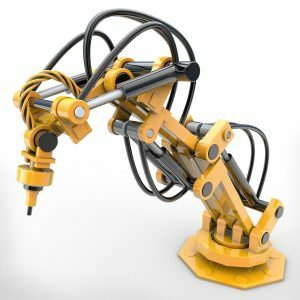 Modern robots, logistics, power generation, medical engineering and traditional sectors such as the woodworking industry all rely on efficient, highly compact and powerful drive units. There is an increasing demand for drive units which are even more powerful than the existing modular drives and also offer a compact design. In-depth analysis of the requests made by users revealed that a motor with a shaft output of 750 W would be an ideal addition to the modular range. Based on their experience with smaller drive units, the ebm-papst development engineers then worked out a concept for a highly dynamic 3-phase internal rotor motor featuring EC technology. A number of technical hurdles had to be overcome before these requirements could be satisfied in reality. The main emphasis was on the highest possible power density, in other words low weight, high power and great efficiency. The development process was not made any easier by the somewhat conflicting aims of trying to achieve the lowest possible cogging torques and highly dynamic action at the same time. In-house calculation and simulation programs in conjunction with extensive testing finally produced the optimum result. The performance figures and low weight of today’s ECI 80 exactly correspond to current and future requirements. It is thus the lightest motor in its class on the present-day market. A standardized system design which enables the motors to be manufactured on an automated production line with a very high level of process monitoring for all operations, the performance characteristics and system capability for a wide variety of potential applications all add up to a motor concept which is unrivaled in its class. With his performance figures the ECI 80 exactly corresponds to current and future requirements. For instance it is capable of both precise motion at low speeds almost like a stepper motor and of high-speed switching to dynamic operation. The motor is designed and constructed as an internal rotor synchronous machine with three-phase permanent magnet excitation and an eight-pole rotor rotating in a twelve-slot stator. With the robust stator winding there is little copper loss and the manufacturing costs can be optimized. The cogging torque can be reduced to a minimum by ideally adjusting the rotor plate contours. The complete absence of beveling in the stator and rotor is also highly advantageous from a manufacturing point of view. The bar-shaped permanent magnets made of neodymium-iron-boron are embedded in the laminated rotor core. Figure 3: Reliability and EMC protection are essential in medical engineering, e.g. 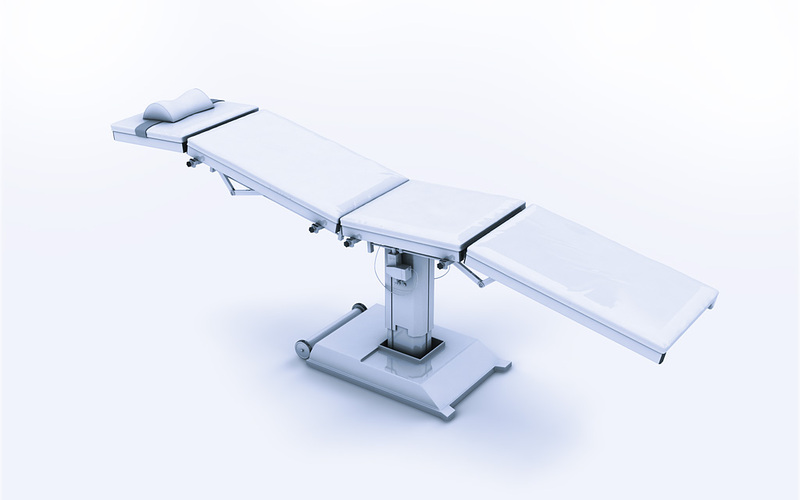 for high-power operating table adjusters. The three-phase brushless internal rotor motor is provided with quiet-running, robust ball bearings for maintenance-free operation. During the life expectancy of 20,000 hours, the drive shaft can withstand a radial and axial load of up to 28 kg at nominal speed. 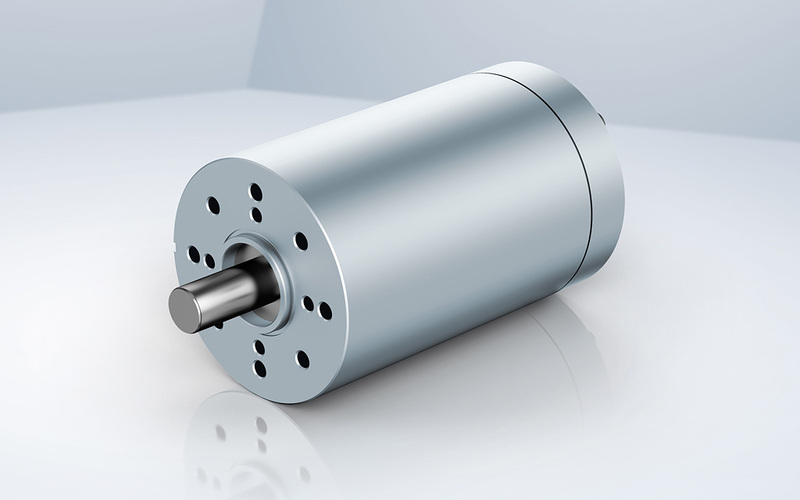 ebm-papst can supply the motors in versions for 24 and 48 VDC with a nominal speed of 4,000 rpm and a rated torque of up to 1,800 mNm at the motor shaft. The starting torque can be up to 5,600 mNm. With a shaft output of 750 W, the nominal current draw is below 20 A. The peak starting current of the drives with short-term high overload capacity is up to 100 A. The total weight of the most powerful motor with a length of 136 mm and a diameter of 80 mm is around 2.1 kg. The modular design means that the drive systems, comprising the motor, electronics, gearbox, brake etc. can be designed and configured to meet individual requirements. This allows optimum incorporation into many different applications. The standard areas of use for the powerful ECI 80 motors include automation with typical applications such as positioners for woodworking machines and intralogistics with driverless conveyor systems as well as shuttles and belt drives. The compact drives with their exceptionally good power/weight ratio are also employed in the field of robotics (Figure 2). Christleven explains: “The design of the motors makes them suitable for use in areas with special requirements such as medical engineering, where particularly high standards have to be met in terms of reliability and EMC protection. 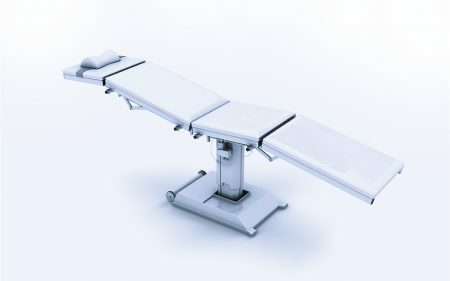 Examples include high-power operating table adjusters (Figure 3) to move every patient to the correct position, as well as mobile patient lifts for individual and ergonomical bedside care. 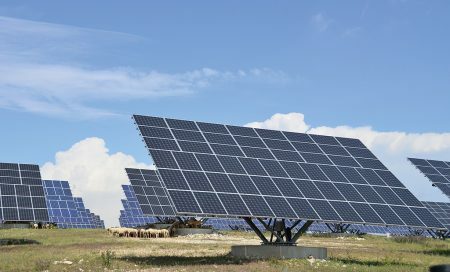 Despite the amount of power involved, the high level of efficiency ensures long battery operating times.” The new energy-efficient top performers also make their contribution to the energy transition process. Adjusters such as trackers for solar panels (Figure 4) constantly guarantee an ideal setting with respect to the sun, whatever the weather and over the course of decades.